Aging is the primary risk factor for the development of osteoarthritis (OA). Every day, more than 27 million Americans suffer from grinding bone-on-bone pain, chronic stiffness, cartilage damage and the nagging ache of degenerative joint disease. 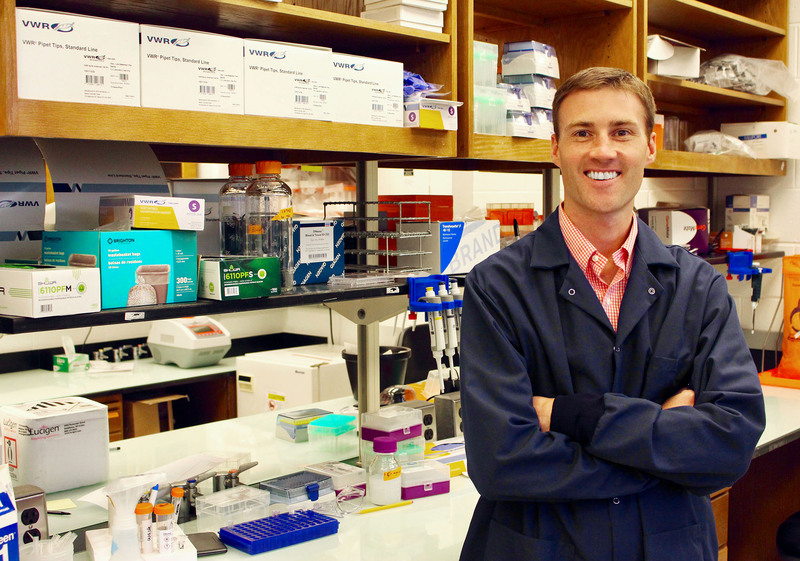 With funding thanks to the co-funded Arthritis & Aging Research Grant, Brian Diekman, PhD, is studying biological aging, or “senescence,” which is the gradual deterioration of the body that happens over time. 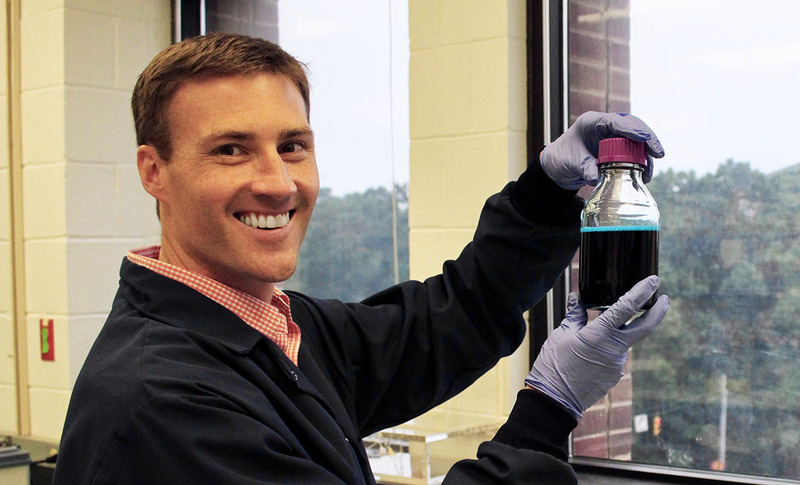 He is an Assistant Professor in the Joint Department of Biomedical Engineering at the University of North Carolina at Chapel Hill and North Carolina State University. Dr. Diekman also has an appointment with the Thurston Arthritis Research Center at the University of North Carolina at Chapel Hill. How does aging and/or injury lead to osteoarthritis? Senescence sparks a biological chain reaction that destroys the surface of articular cartilage. Before you’re born, the smooth layer of cartilage develops to cushion the ends of bones and help them slide easily within the joints. Since cartilage lacks the capacity to regenerate, aging spurs destructive cellular changes that can lead to permanent joint damage. Osteoarthritis can also occur in response to traumatic injury to joints, muscles and ligaments (the bands that connect the bones securely to one another). But often the effects of the injury don’t show up until much later. Studies have shown that in young adults especially, arthritic changes often only show up on X-rays within a decade after a destabilizing knee injury. Could this innovative research lead to a way to target and clear senescent cells to give surrounding tissues a chance to heal? With his Arthritis National Research Foundation grant, Dr. Diekman is investigating ways to block the destructive power of senescence. His research involves finding more precise ways to measure both the progression of the disease and, potentially, the effectiveness of new treatments. Help support research like Dr. Diekman’s by supporting arthritis research with a donation today! 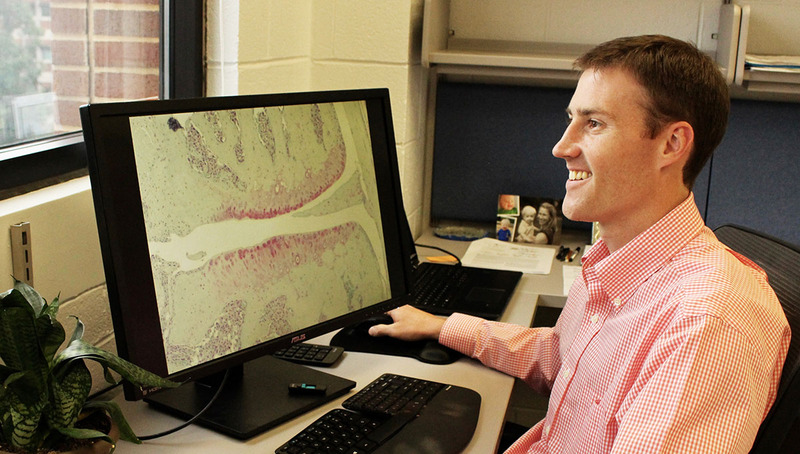 Dr. Brian Diekman’s work is being supported by the co-funded grant from the Arthritis National Research Foundation and the American Federation For Aging Research. Collaborating to find a cure is important to both organizations and we’re honored to support Dr. Diekman’s exciting project. I have been diagnosed with hypermobility and osteoarthritis by my rheumatologist. I have looked into research studies similar to yours. There are many, however I am too young. It is nice to say at 44 I am too young, but not for this reason. I would think one would want to know the effects of starting a treatment like this as soon as possible to possibly theorize the sooner the treatment the better the results. I do not want to become crippled before I am 50. I do not want knee placement surgery. I had surgery on my back and being I have the aforementioned diagnosis, it had little benefit. I believe knee surgery results would not differ much. The pain is also in my right foot. It is going to continue to worsen if I cannot get ahead of it. I cannot afford the stem cell injections my orthopedic offers and the results are incredible. Dr. Diekman, thanks for all your research and focus on this disease. As the president of ANRF, I am proud to know our organization is funding great science like yours. Keep up the great work. Knees like mine will be thankful when we find a cure! Thanks Shaun! The funding from ANRF has had an enormous impact on our new lab. We are doing our best to save your knees and help develop better treatments for all those who suffer from arthritis.